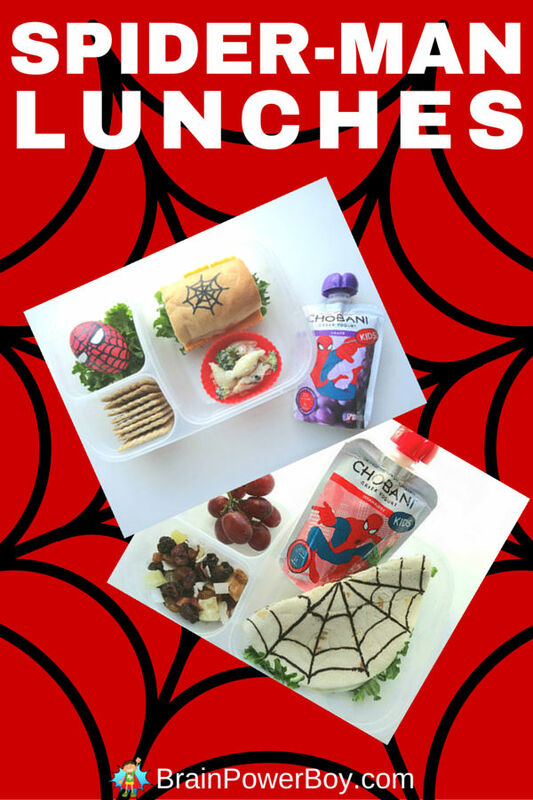 Fun Food Spider-man Lunches for Your Superhero! 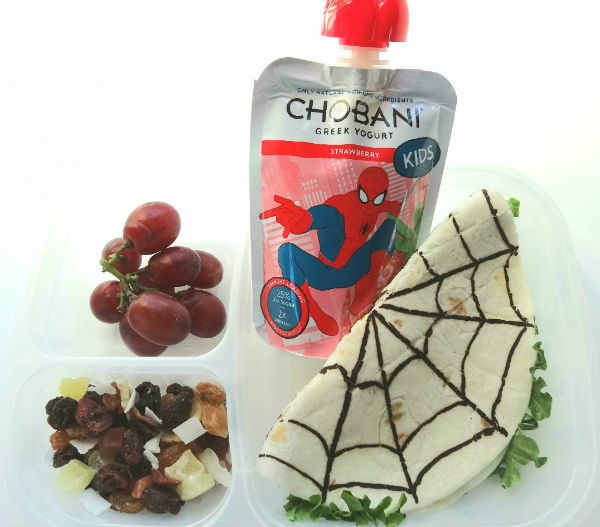 Fun Food Spider-man Lunch for Your Superhero! 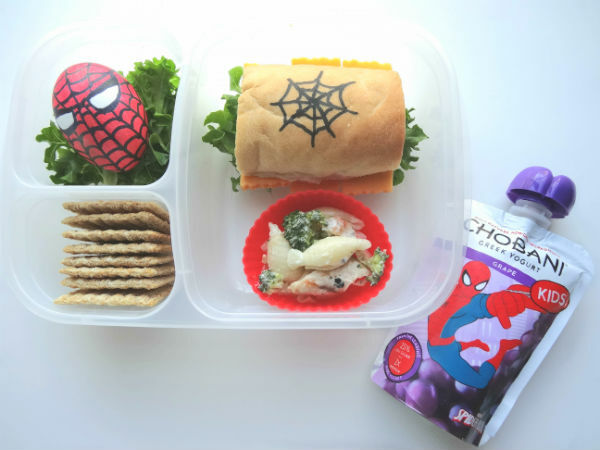 Make a Fun Food Spider-man Lunch for your superhero fan. They are super easy to make! The lunches in this article were created by Brain Power Boy and sponsored by Chobani. This post may contain affiliate links which means we may receive a small commission, at no cost to you, if you make a purchase through a link. All opinions are our own and we share things we think would be of interest to boys. I really enjoyed this project as it gave me a chance to get creative and try some new things. I guarantee this was the first time I have ever made a Spider-man hard boiled egg! I hope you and your kids will enjoy creating these. 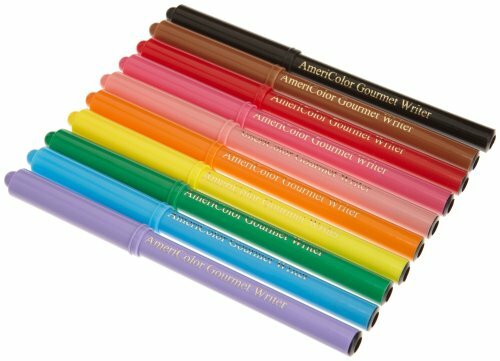 The pens are a must. Get these, they are the best. I tried Wilton but they didn’t work well at all. 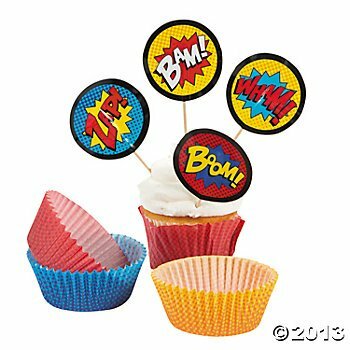 I didn’t use these cupcake liners and superhero picks because I just now found them. But, I think they would be the perfect addition to this Super-man lunch. 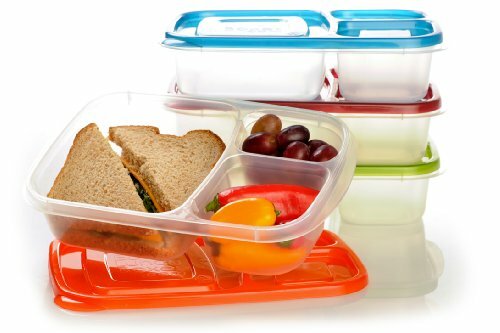 I love the EasyLunchboxes containers. They are great for segmenting the food so it all stays nice until lunchtime. The first fun food Spider-man lunch features a Spider-man tortilla sandwich. Ours is made with white cheese and lettuce. The sides are grapes, a tropical dried fruit mix, and Chobani Kids Strawberry Greek Yogurt. The Chobani line has changed and they now offer Chobani Gimmies for kids instead. Find the center and using a black food marker draw a straight line from the center to just before the end of the tortilla. Next draw four more straight lines to divide the tortilla into sixths. You will have 5 lines total. Fill with whatever sandwich filling your kids like. It is so easy to make! The next lunch has a Spider-man turkey and cheese sub sandwich with a Spider-man hard boiled egg. It also has whole-grain crackers and chicken broccoli pasta salad. I included Chobani Grape Greek Yogurt as well. 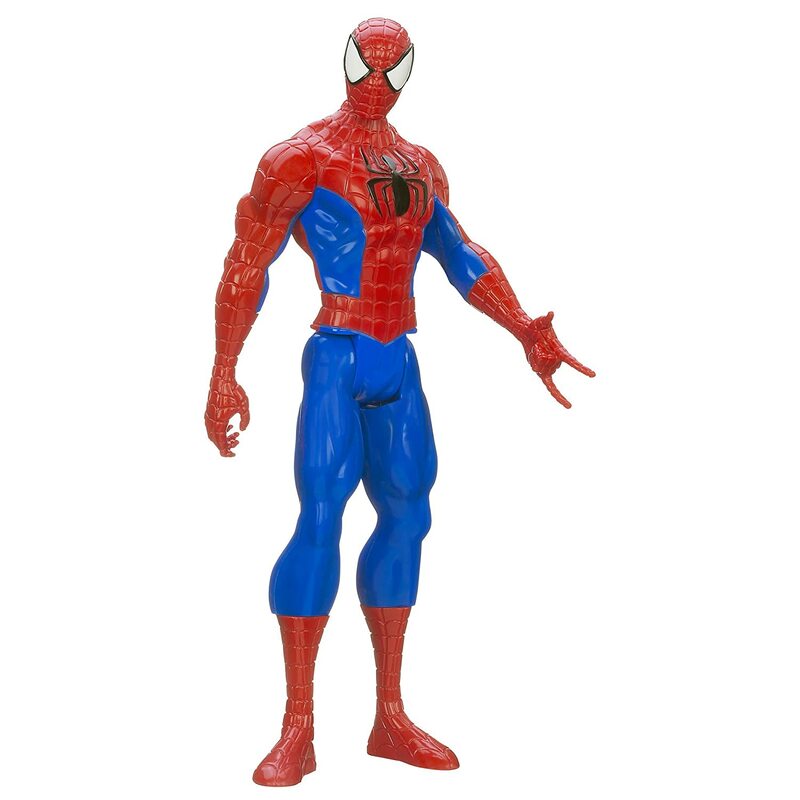 I was looking at a picture of Spider-man when I made it. Draw the outline of the eyes in black. Add in black web lines. Start with the lines above the eyes and put in the vertical lines first. Put two lines going down toward the bottom of the egg in the middle right between the eyes. Add the rest of the lines. Remember, it doesn’t have to be perfect! Just add in lines at fairly even spacing. Then add your horizontal web lines which should be curved. Refer to our picture if you get stuck. Feel free to ask any questions you may have in the comments below. I respond to all comments I get on the site.